There are a few types of footprints out there… there is; of course, Vans and Converse… and I suppose for some of you there is Air Walk. Oh, ok, and for all you old guys, there are the engineer boot prints, but the younger set is probably still stompin’ around in their Doc’s. But that is not exactly what I am talking about. No, this footprint is somewhere between those just stated, and that notorious “carbon” footprint we are all worried about. This footprint is pretty awesome, actually. It is an effort put together by Lisa Ballard and The Limpnickie Lot (read, mostly Vans footprints), to raise some cash and put some food onto the shelves of the Second Harvest Food Bank of Central Florida. Now last year they did a good job… Hell, anything at all is good when you are talking about helping to feed a family… but I know this year will be even better! So read the press release below and please, please give something… You don’t want to lug canned goods in your saddlebag all the way from Oregon? You will be happy to know that they will accept cash. Give a little, help a lot, and enjoy Bike Week. 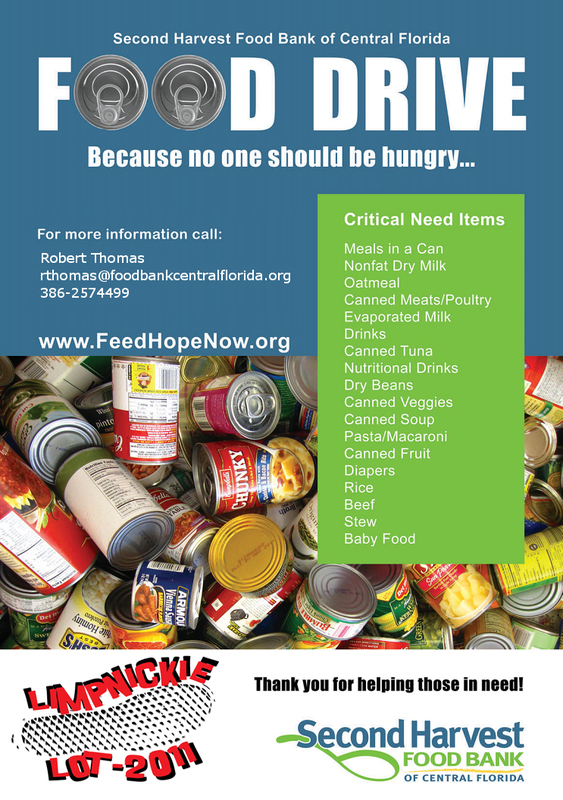 We are proud to announce that for the second year the Limpnickie Lot Footprint will be left with the Second Harvest Food Bank of Central Florida during Daytona Bike Week. The Limpnickie Lot Footprint was created to leave an impression within the rally communities. David Uhl has a new piece out for Daytona’s Anniversary Rally… Check it out and check him out in person in Daytona… Hey, check me out there too! I will be roaming the streets, so come and find me. We are excited to announce the release of David Uhl’s latest masterpiece, “Ready to Rally”. This piece is the 7th in the Daytona Commemorative Series and features a beautiful lady biker, readying her ride for the next leg in front of Daytona Harley-Davidson on Beach Street (image below). In David’s words, “This being the anniversary year for the rally, I wanted to paint a subject that was very rally specific. Looking over the last six years of my Daytona Commemorative pieces, I realized that there was not a “Bike Week ” depiction in the whole group. So I thought it appropriate this year to create a work that represented a sight that would most certainly grab your attention while you were cruisin’ the streets. This is my favorite model Elizabeth and she will be with us at Destination Daytona in Ormond Beach on the 11th and 12th to meet and greet all those who care to stop by and say hello”. As with his previous Daytona pieces, David will make these prints available through the end of this year’s rally (March 13th). Edition numbers will be assigned as orders are taken and shipping is included in the prices below within the lower 48 United States. To reserve your print, simply respond to this email or call me at the number listed below. David will be in his gallery at Destination Daytona in Ormond Beach (outside the front door of the dealership) from March 4-13. Daytona’s Rat’s Hole Show… always a great time! Custom Bike Show, Motorcycle Event, Motorcycle Rally Comments Off on Daytona’s Rat’s Hole Show… always a great time! 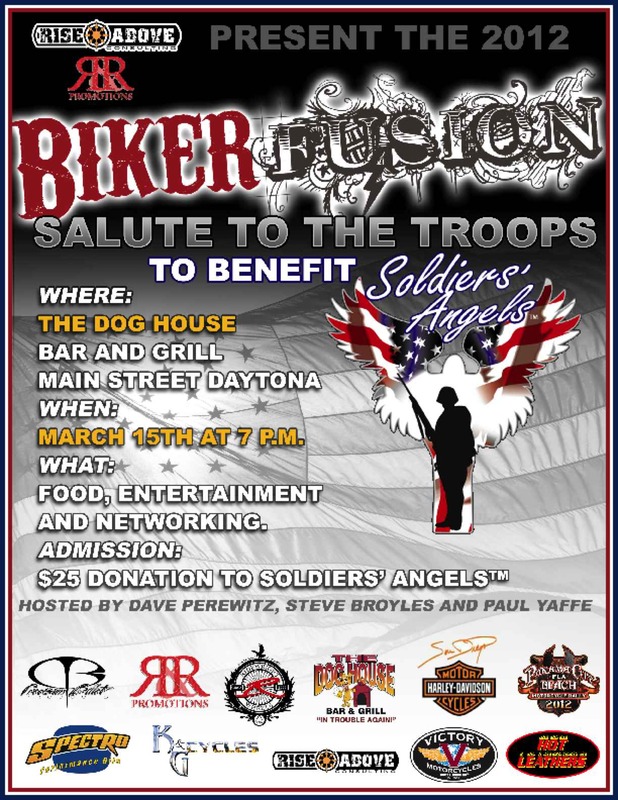 It’s time for Daytona Bike Week and you don’t want to miss out on this show. This will be the largest show Daytona and the Rat’s Hole is pulling out all the punches. We are making new trophies for this year and the Famous Rat’s Hole Big Daddy Rat trophy is going 3 deep. Our famous model builder and judge Ken Glenn is up for the task. Ken has been building unbelievable models for years and he brings his famous talent to the Rat’s Hole awards. This will be a collector’s item for the special bike builders that place in the Top 3. These Winners are going home with a first class prize. The Rat’s Hole will host Live on Stage the World Bike Showdown. Three famous bike builders from around the World will compete for the crown. The Winner will be determined by a peoples vote. Everyone who comes through the front door will get one vote ticket to vote for the bike that they like the best. The Rat’s Hole is also bringing back the Ratty Rag. 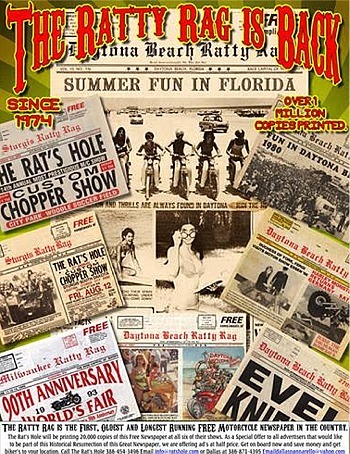 The Ratty Rag was started in 1974 in Daytona Beach by Big Daddy Rat. This was the first FREE motorcycle newspaper in Daytona and up to the date that Big Daddy Rat got sick, there has been over 1 Million copies given away. Go to www.ratshole.com and pre-register today for the World Famous Bike Show. We will also have a Rat’s Hole Bar and you can pre buy a collector mug. If you would like to advertise in the Ratty Rag give us a call at 386-454-3496. 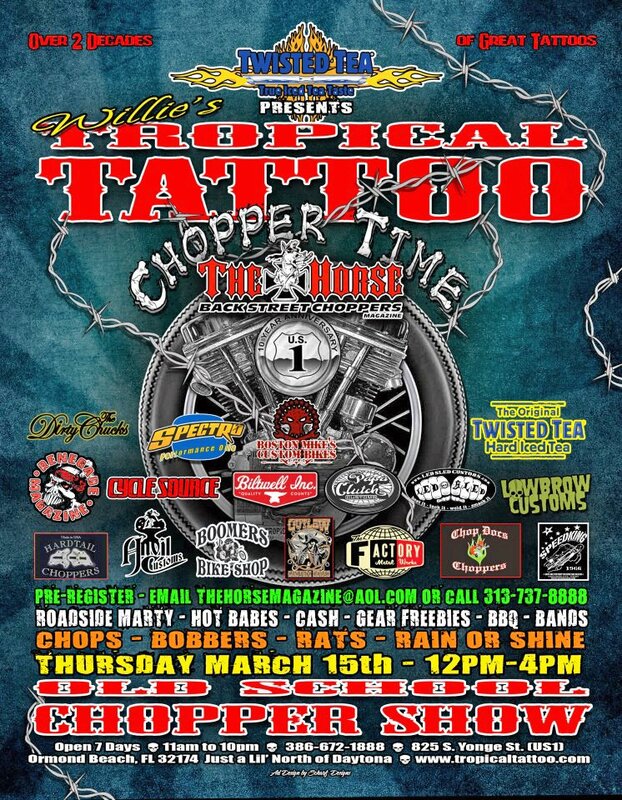 The Rat’s Hole with M/C Radical Randy and a tattoo and Ratmate contest will be a Great Party.